Home »Privacy » Why you should never use a search engine for tech support numbers. Why you should never use a search engine for tech support numbers. Why you should never use a search engine for tech-support numbers. Need help from HP? Or Dell? Or just about any other computer or device maker? Don’t fall into this trap. It sounds harmless enough: The printer won’t print, so you hit up your favorite search engine and look for a tech-support number for the printer manufacturer. That’s the fastest way to find it, right? 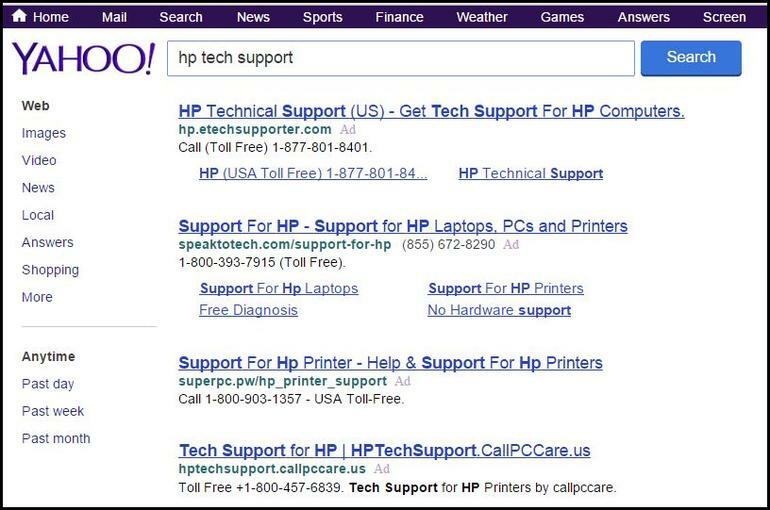 Can you spot the real HP support number? Surprise: Every single one is a third-party company itching to charge you money. Wow, that’s a pretty damning indictment of HP tech support. Except, as you’ve probably guessed by now, this user hadn’t reached HP at all. Instead, he’d searched for “HP tech support” or some variation of it and called the first number he’d found. Pretty easy mistake to make, especially if you’re agitated with your computer or printer and don’t pay close attention to the search results. 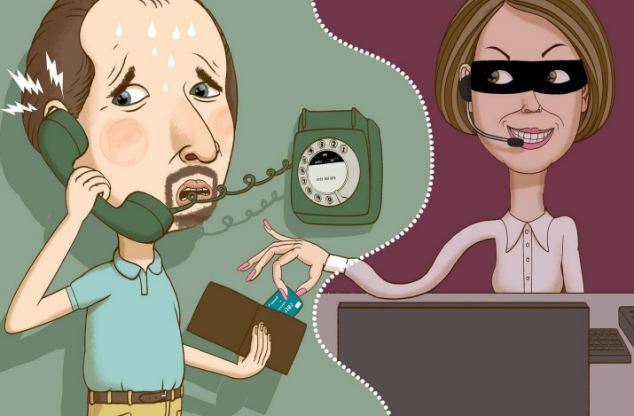 Same exact thing happened to my dad last year: He needed tech help with something, searched for a support number and ended up with a third-party support company that offered remote help — and a hefty bill to go with it. The moral of both stories: When you need help with a tech product, don’t use a search engine to find a support number. 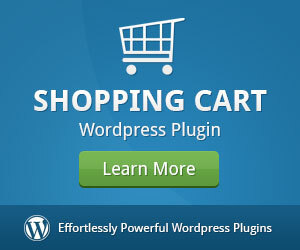 Instead, head directly to the company’s Web site, then click the Support link to find the number you need. It may take a bit longer, but it’s the best way to be sure you don’t fall into this trap. 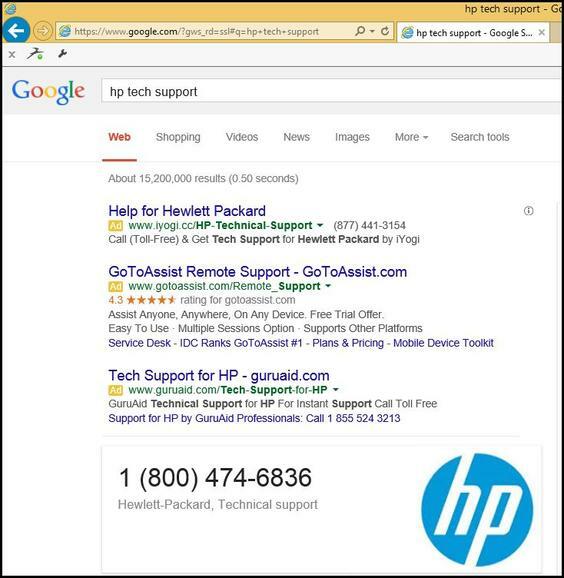 Indeed, as shown in the screenshot below, a Google search for “HP tech support” returns a large HP logo and accurate phone number — no doubt easier to spot than the ads above it. For the record, my feeling is you shouldn’t use Bing, Google or Yahoo if you’re looking for tech support for a particular company. 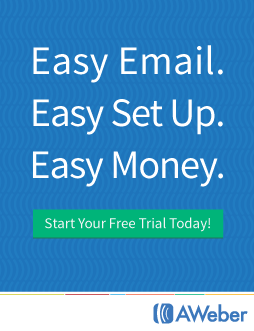 You should go to that company’s website. Google does a little better at steering you to the correct number, but still shows misleading ads.